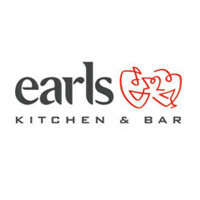 Earls Kitchen and Bar is a casual dining chain that family owned. They make high quality gourmet food in an affordable and casual environment. They offer a wide variety of foods from all different cultures, along with a great assortment of spirits. For information on your Earls Kitchen and Bar application, follow the link below. Founded in 1982 in Edmonton, Alberta, Canada by Leroy Earl Fuller, their slogan is “Upscale Casual Dining”, which is a perfect example of what this company offers their guests. Currently headquartered out of Vancouver, BC, Canada, there are around 65 restaurants found across Canada and a few select cities in the United States. They have around 7,000 employees currently. This company puts a level of importance in the fields of social awareness and sustainability. They aim to run their company in the most energy efficient way possible, as well as emphasizing the importance of social awareness. They use only sustainable seafood in their restaurants, and use only items that promote energy efficiency like LED lightbulbs and only use natural and recyclable materials for their takeout boxes. Earls Kitchen and Bar offers their employees the chance to move up the ranks of this company. They encourage their employees to work hard and stay with the company to gain valuable work experience to gain employment in higher level positions. In return, they expect their employees to provide a great experience for customers and work hard. There are many positions at this company that can be found at the corporate and restaurant level. The restaurant level provides entry-level positions for those looking to turn their job into an Earls Kitchen and Bars career. This company encourages this job growth. Some positions include server, bartender, and general manager. The corporate level has a wide variety of positions so that a job seeker can find something that is a good fit for their skills and talents. There are some entry-level positions at the corporate level, but most positions are higher level ones that require more experience to gain employment. Some positions include marketing, business development, and design. The different positions in this company have a different set of requirements in order to gain employment. Entry-level positions may not have any educational or experience requirements in order to gain employment. Higher level positions may require a college degree and several years of experience. How old do you have to be to work at Earls Kitchen and Bar? The minimum age of employment is 16 years of age. This company offers benefits similar to those in their industry. Employee eligibility for benefits can depend on hours worked weekly and job title. Some benefits include health insurance, dental and vision plans. They may also receive benefits including performance bonuses, 401(k) plans and paid time off. Employees may also receive a competitive pay rate. The hours of operation can vary depending on location and holiday hours. Some holidays may cause closures for either the full day or half of the day. For more information, you can check your local restaurant for additional details. Generally, the restaurant is open every day from 11:30am to 2:00am. Server- A server is responsible for greeting customers at their table in a timely fashion. They must also take the customer’s order, carefully noting any allergies or customer special requests. Before serving the order, they should ensure that it is correct. The server will then make sure the customer is satisfied with their food and process customer transactions. A server may earn around $8 hourly. Line Cook- A line cook is responsible for preparing menu items in accordance with company policy and standard recipes. They must also ensure that they follow the customer requests and pay attention to any noted allergies. The line cook must keep the kitchen clean and organized. They will also be sure that none of the food on the line is spoiled. A line cook may earn around $10 per hour. Chef-The chef is responsible for overseeing the operations in the kitchen. They will ensure all food is cooked according to the recipes given and according to company policies. Chefs often will help with the hiring process for those working in the kitchen. A chef will also help cook food for future dinner services. A chef may earn around $11 an hour. Host- A host is responsible for greeting customers upon entering the restaurant. They will seat the customers and give them their menus. A host will also take reservations and wait list names, while giving customers an approximate wait time for service. They will also answer the phones to answer questions the customer may have. A host may earn around $10 per hour. Why do you want to work at Earls Kitchen and Bar? This question may require some research prior to your interview. The interviewer wants to understand what you know about the company and what the company stands for. Describe which values that you feel you share with this company and how you feel you fit in because of it. Why should we choose you over the other candidates? The interviewer is giving you the chance to sell yourself to this company. Take this opportunity to discuss your strengths and why you feel the company would best benefit from them? Do you have any relevant previous experience? The interviewer may be looking for someone with experience in restaurants or customer service. Describe any experience you may have in these fields. What is your 5 year plan? The interviewer is looking for someone who wants to grow their career with this company. Discuss what your future plans are, and how this company fits into your plan. Do you feel that team work is necessary to help operations run smoothly? This industry requires all of the staff to come together and work as a team. Talk about how you feel team work is important to successfully running operations. You can also mention any situation where you needed to work together as a team to accomplish a goal. Wondering how to apply at Earls Kitchen and Bar? You can apply for an Earls Kitchen and Bar job by visiting Earls Kitchen and Bar online. You may also fill out an application form at your local restaurant. There are no printable applications online. There are no downloadable applications. The easiest way to apply is to apply directly online. The company website has job descriptions and responsibilities for job seekers to find a position that is a good fit for them. You should never apply for a position that you are not qualified for. You must remember to fill out the application completely and according to the provided instructions. You may also want to submit an updated resume along with your application. After applying to this company, you should hear back within a reasonable amount of time. If not, you can call the location that you applied at to check the status of your application and to see if they are still hiring for that position. They may also inform you when interviews are set to begin. You may want to consider practicing for your interview beforehand. You can do this by asking yourself potential interview questions and answering them aloud. This will help ease your nerves during your interview, which can help you be more confident and articulate during your interview. You should remember to dress in a professional manner. This will help increase your chances of getting the job. Cash And Carry: Visit the job application for Cash And Carry to apply today. Jerry’s Subs And Pizza: Visit the Jerry’s Subs And Pizza application. Mellow Mushroom: Mellow Mushroom offers opportunities for both, beginners and experienced roles. Chili’s: Checkout the application page for work at Chili’s. CiCi’s Pizza: Visit the CiCi’s Pizza application.